As a beauty blogger I sometimes get sent new products to try. This is super exciting, yet my skin doesn’t always care for it, going back and forth with random ingredients. Even though this is the case, I am super picky about what I try for the reason that I have been through acne and am apprehensive to try something that I don’t agree with. There have been many many occasions I have told PR companies that I don’t want to try a new product for reasons such as the ingredients, the brands ethos or that I don’t think my skin will react well. With all of this said, I hope that you fully trust me to only talk about products which I have tried and actually like. These following 5 products are my current most used products which I am really enjoying. Did you catch up on my blog a couple of weeks ago on why I am addicted to serums and face oils? 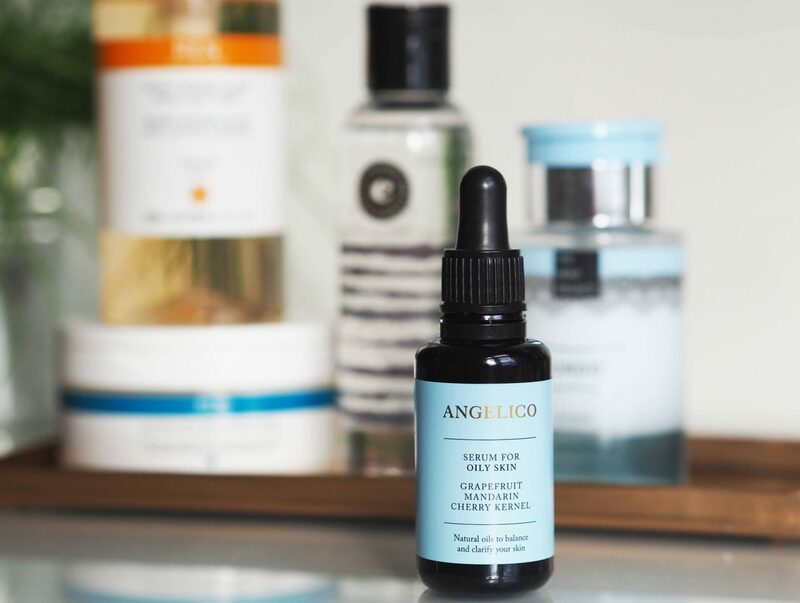 Well, I included Angelico serum because it is insanely good for you. Also, it is vegan for those who care 🙂 . 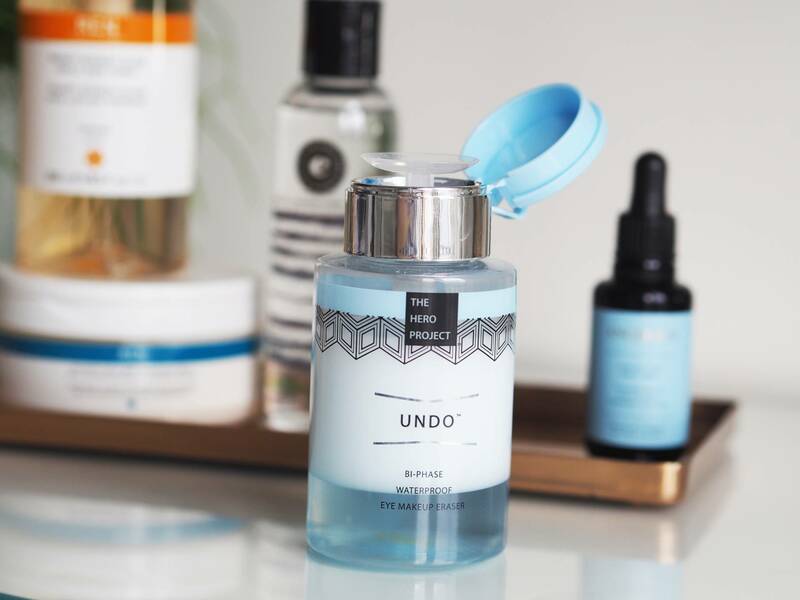 I feel like I am repeating myself from my last blog, but incase you missed it, the reason I am so addicted to serums is that they are actually doing you a whole load of good. Each of the oils in your serum are there for a reason and do something fab for your skin. The next biggest bonus to them is that they make for a dreamy surface to lay your foundation on. I use the serum for oily skin because it balances your skins oiliness and prevents any spotty breakouts. 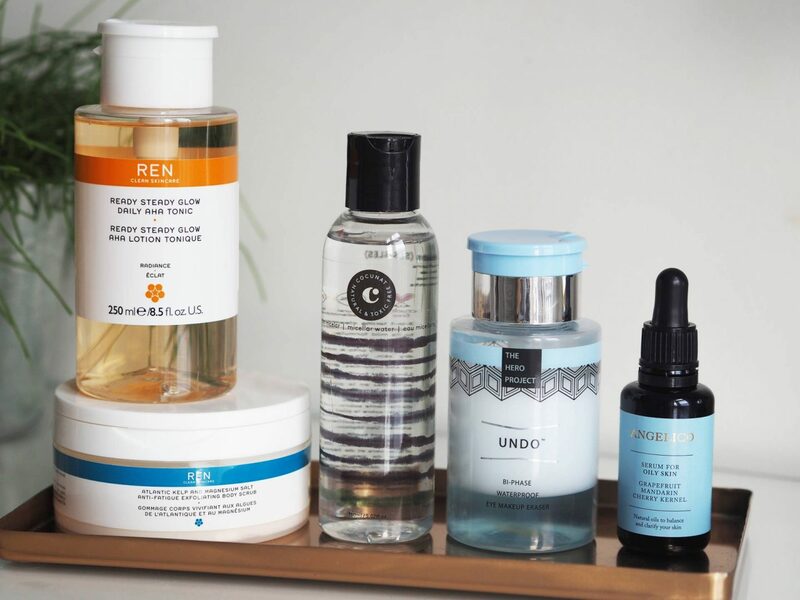 Ok, this little section of this blog actually has a rogue non-pump bottle in the middle…that is because I wanted to place the pump products together, yet I also wanted to add the two make up removers together… #bloggerproblems 😛 . 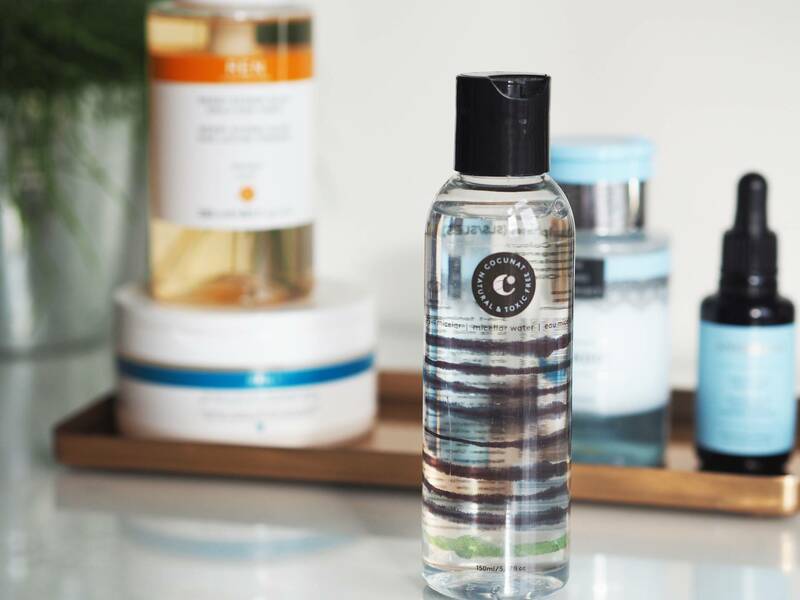 Right, starting with the non-pump product we have an amazing micellar water. I have tried micellar waters in the past because of the amount of buzz they had in the last few years. I must have tried the wrong brand because I wasn’t sold. That was, until now. I adore this one by a relatively new brand called Cocunat who are all about the toxin free beauty products. Check out their website, it is done so well!…I always appreciate a nice website. I use this product solely to take off my eye make up and I really like it, it takes off every smidge and doesn’t leave my eyes sore. I obviously love it a lot as I am on my second bottle. Pump number one on the left is an eye make remover by The Hero Project called UNDO. It is a chunky monkey of a bottle, nice and stump and filled to the brim with a great product. I love the ease of the pump action, especially if I am feeling a little tired at night. I know I sound a little lazy but every little helps late at night right!? This product removes even the stiffest water proof mascara and has lasted for a very long time considering I have used it almost everyday. The last pump product is below on the right and is the newest trial of all my products, you may have seen my stories on my first impressions. 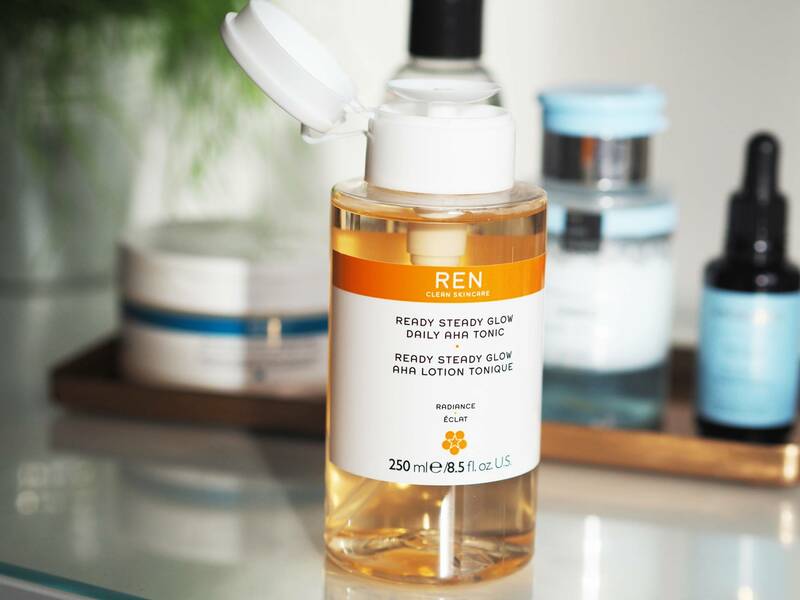 This new AHA Tonic by Ren is a very new type of product to add to my normally super basic skincare routine. It is a skin resurfacing toner which gently exfoliates. When you rub it on your skin it very quickly tingles which I kind of love because I know it’s doing something. After a couple of weeks of using it every other night I honestly believe my skin feels softer. 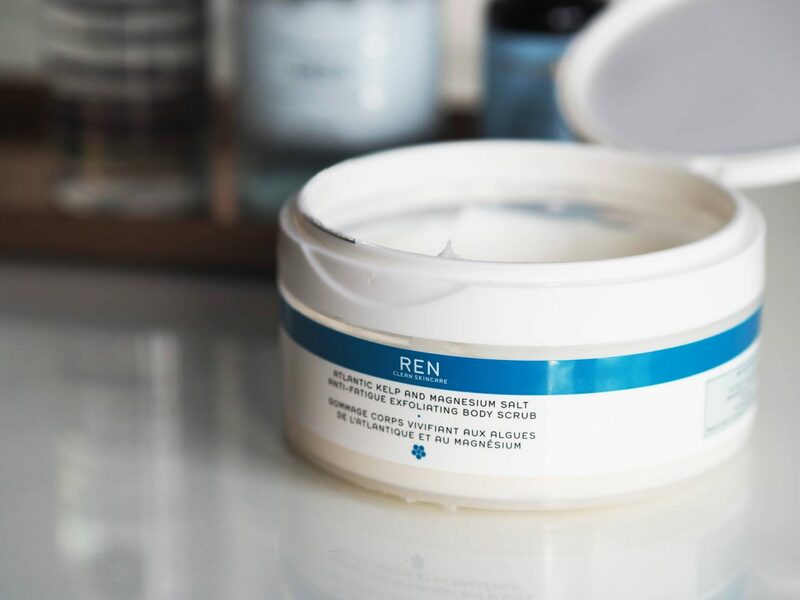 Another Ren product which I became obsessed with over the Christmas break was the atlantic kelp and magnesium salt scrub. My legs have barely come in contact with the air in about six months now and with daily rubbing against my skinny black jeans my shins can get a little bit dry. So, I have been using this all over my legs with abandon and have seen such an improvement. Back in the summer I talked about why I had become such a salt/sugar scrub addict and it hasn’t lessened. If you have never tried one I highly recommend you get in on the action and smooth your legs, you won’t regret it. Have you tried any of these products? Which do you think would work best for you?